Rita Dominic "I Am A Different Person When I’m On Red-Carpet Show : Rita Dominic made history last weekend when she emerged‘ from the blues to premiere a big budget movie, “The Meeting” which many industry watchers believe relaunched her into the mainstream of the movie world after months of staying off the screen. The premiere, however marked a turning point in her acting career as she shares her success with Showtime Celebrity. I am a very shy person but people find it difficult to believe me when I say this. Actors are the mostly shy people in the world. It’s hard to find an actor who does not feel comfortable playing the character that has been created for him. But when it is time for him to be himself, he or she is usually a shy person. I was telling one of my friends some time ago that I have different personalities when I walk down the red carpet. I’m another person and not probably the Rita Dominic you know. I tell myself, don’t be shy, just hit the red carpet with boldness. I am not surprised because I always believe when you do a good film, you will be recognised for it, whether it is a Nigerian film, Kenyan film or any country in the world. AMAA has their own criteria for selecting an award winning film. It could have been a Nigerian film. But I must say I put in my best in “Shattered”, because of the character I played and the storyline. It does not have to be a Kenyan film. I just felt at that point in time that “Shattered” was one film that I have done in my whole career that gave me an award at AMAA. I have been nominated for an award at AMAA before now. But I once told myself, I want to win an award at AMAA for a film I worked for. And “Shattered” helped to realsie that dream. I was happy and I walked with my head high. I did not want to be nominated for an award for a film that wasn’t challenging as ‘’Shattered’’; a film I did not put in so much effort. I wanted to be nominated for a good film that has quality and is challenging. It is hard to answer this question. May be, ‘’Shattered’’ was a lead role, so also is “The Meeting’’, I have never played a cankerous role like I did in “The Meeting.’’. It is a different role. I was in Kenya about two years ago when then Nigerian Ambassador to Kenya, and his wife invited me as a special Guest of Honor, for the 50th independence celebration of the country. I observed the celebration with them. Thereafter, I was in the country again during the AMAA nomination party. About five months later, precisely in June, 2010, my manager got a call from Kenyan ambassador to Nigeria that there is a Kenyan film producer that would want to meet with me, and discuss moderalities in terms of featuring me in his new movie and all that. Twenty five days after, instead of sending the script to me, the said producer decided to fly into the country to meet with me. And when I saw the script, I fell in love with it. From then on, we established a working relationship and exchange of ideas. Everything happened so fast and before I knew what was happening, a deal was struck. It was very fantastic. Kenya is like a second home to me. Kenyans do not joke with me and I love them for that. Could you imagine that they went after me on twitter, wanting to know when I will be visiting their country again. It has been several months of hard-work. We even had to suspend shooting for months just because we wanted permission to shoot at the airport in Abuja. Then there was the challenge of sourcing funds and the challenge of finding appropriate locations. So we had to commit funds to building sets. But we are satisfied with what we got. I am glad at the comment that people have been making. Someone said he liked the fact that it is a truly Nigerian story that cuts across borders. That’s the idea. To sign a truly Nigerian story that addresses an array of contemporary issues. But generally, I consider this era a new one for Nollywood and it can only get better from here. The Meeting tells the story of a corporate executive who flies to Abuja to make an important 9:30am meeting with the Honorable Minister of Land and Resources. He is scheduled to return with the afternoon flight same day to his office. But the unexpected happened, when he is faced with challenges from the Minister’s secretary( Rita Dominic) and he is forced to remain in Abuja on the insistence of his boss( Jide Kosoko) so as to ensure the Minister signs all necessary documents that would save his company.While in Abuja, he meets up with a young lady who introduces him to the city, and for the first time after his wife’s death, he begins to fall in love again. I can’t put a figure to it because we are still spending. But it is certainly a big budget film because we are still spending on the film and I must say that it has been very challenging raising funds for this film. Most investors don’t want to fund movies because some of them have done that before and they got their fingers burnt. We are still faced with the problem of accessing the intervention fund of the Federal Government. It is still difficult because the banks still insist that we must come with heavy collateral. But I hear some people have been able to access it. I will say this and more including Shattered and particularly “Shattered” which earned me the AMAA awards for best actress in a leading role. I played lead in “Shattered” and so I was everywhere and so it demanded that I would be in every scene. I didn’t play the lead in “The Meeting” but it is certainly different from all the roles I have played. I have never played a cantankerous 50- year-old or any role like that. But all the roles I have played have been different and unique in their own ways, a reason I said this and many more, like Street of Calabar and 76 by Izu Ojukwu. All the characters I have played recently are very unique and challenging. And I want to keep pushing myself. I want to go way beyond the ordinary as far as role interpretation is concerned. It does pay to act even though it can be better. However, my decision to venture into production has a lot to do with my passion for the arts. I love the arts so much. I have always wanted to partake in the various fields of film making. I have done acting, now I am combining it with production. Who knows I might try directing in the future. So, first and foremost, it is my own way of giving back to the industry by encouraging up and coming talents as well. We need to give them the opportunity and chance to shine and that is exactly what I have done in The Meeting. I will give all the glory to God, and then the support of my family, my fans and my management. Also, I never say to myself that I know everything. The day you stop learning is the day you begin to lose it. There is no end to learning. So, we need to keep learning everyday and with each new work. Even when you have played it before, you can always find ways to play it differently. Very soon and you will be duly invited when it is time. And if you have not heard anything about my private life, it is because I have been guarding that aspect jealously. As an actress, I already live my life for the public. So, the little I can guard, I guard jealously and try to keep it private. There was no fight between Ini and myself. In fact, Ini is like a younger sister and colleague to me. I have always advised her in the past and we have a long standing relationship. I don’t think, there is anything going on between us. Starring in “White Waters was an eye-opener to the kind of roles I could play in movies. It was also, an indication that my career need to go to certain places. After starring in that movie, went into hibernation where I asked myself a lot of questions bothering on the direction I want to take my career to. For some time, my fans missed me on screen. I was busy then working on my project ‘’The Street of Calabar’’ ‘’ Shattered” and two other movies. These were the projects I was focusing on. Nollywood Veteran Actor Clem Ohameze Battles For The Kingdom: After a very long break from the mainstream, veteran Actor, Clem Ohameze has resurfaced again. He is one of the cast of a mind-blowing, yet-to-be released movie, The Kingdom. Ohameze starred in the big-budget movie alongside notable Actors in the likes of actress-turned evangelist, Eucharia Anunobi, Van Vicker, Jibola Daboh, Annie Macaulay-Idibia, Tade Adelana, Chelsea Ezeamong other renowned actors. The Kingdom, from the stable of De Kross Movies Production, was directed by Ifeanyi Ikpoenyi and shot in Abuja, for several weeks with high-end-equipment and tested crew members. “Being a big-budget movie, we decided to do something different from the usual Nollywood style. Tonto Dike And Helen Paul Wins The Afro Nollywood Awards: Winners have emerged in the 17th African Film Awards 2012 a.k.a Afro Hollywood Awards at a special ceremony held in Akure, Ondo State capital, last week. Sultry Actresses, Tonto Dike and Helen Paul were some of the winners of the awards organised by African Voice Newspaper, UK. The high point of the event was when a new entrant, Kiki Omeili who starred in “Married But Living Single” was adjudged winner of Best Actress in supporting role in an English language film. She defeated Oge Okoye and Nse Ikpe Etim to clinch the prize, while Tonto Dike emerged Best Actress of the year, defeating Omoni Oboli and Chika Ike. The winners will be attending the prestigious annual awards slated for November 3, in London. At the event also, the winner of the African Actor of the Year will be announced. The contest is between Joseph Benjamin of Nigeria (Tango With Me), Van Vicker of Ghana and one of South Africa’s leading Actors, Jafta Mamabolo (famed for his role in Otelo Burning). Prince Mike Abiola, publisher of African Voice Newspaper UK and Chairman of the awards organisation, said, “I am so pleased with the result of the distinguished and independent panel of film critics who watched many Nollywood films to arrive at the winners. Congratulations to all the winners and nominees. “The decision to host the ceremony in Ondo State was made as part of the need to change how African leaders support entertainment and tourism. Delta Flood: Mortuary Attendant Pile Bodies On Over-The-Roof Platform: The flood that caused havoc across the country has sacked the General Hospital, Patani in Patani Local Government Area of Delta State, forcing officials to stack corpses evacuated from the morgue on an emergency platform that had been inventively constructed between the ceiling and roof of the endangered health institution. Delta State Commissioner for Health, Dr. Joseph Otumara, confirmed, yesterday, that several other government hospitals were affected by the flood, including the one in Patani, but said he had not received any report concerning the movement of corpses. 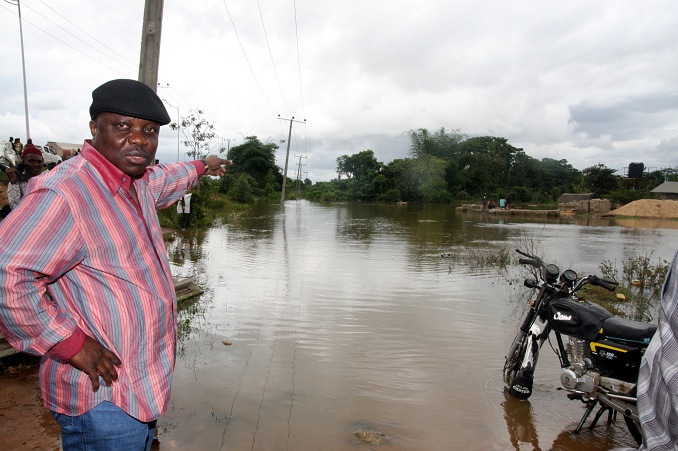 However, coordinator of the Rural Health Africa Initiative, RAHI, a non-governmental organization, which is on ground, catering for the victims of the flood in Patani and surrounding communities, Dr. Chris Ekiyor, told Sunday Vanguard, “We saw corpses from the morgue of the Patani hospital affected by the flood floating on the waters, some were standing leg deep in the flood, and others in different awkward position”. He added, “This was at the initial stage of the flood, but I must commend the mortuary attendant and other officials of the hospital; they understood the effect of the corpses that were washed away by the flood from the morgue, what I saw is not a mortuary, but they were embalming corpses there. They salvaged the corpses from the flood and loaded them up on an over-the –roof platform”. Ekiyor, who spoke at the RAHI Relief Camp for Flood Victims, situated at New Town, Patani, along the East-West Road, continued: “My concern, among other things, is that there are many shallow graves in this area, and, besides drowned animals like dogs and goats, other dead bodies might have been dug up by the rampaging flood. “Some of the villagers have not only been fishing in this contaminated body of water, but also cooking with it. It was not until we started educating them on the dangers of what they were doing that they stopped, because they took the floodwater as part of their normal river and were washing with it, fishing inside, bathing and cooking with it”. The RAHI coordinator pointed out that if not that the mortuary attendant in Patani hospital acted quickly, the floating corpses from the morgue would have been decomposing by now and formed part of the mass of the floodwater that the people were cooking and bathing with. “This is not a story, RAHI witnessed it, we have been here for more 22 days, there is no other group attending to the health of the victims of the disaster in this area, but us. We also know the kind of cases that the patients are presenting; there are more than 3,000 flood victims in our camp. We feed them and attend to their health problems. Commissioner Otumara, who opined that there might not be an epidemic because of the measures the state government had put in place, said, “Many government hospitals in Patani, Bomadi, Ogriagbane and other communities were affected by the flood, but are we concerned, first and foremost, by the safety of the people. So, we moved them to government relief camps, there are about 20 of them, where doctors, nurses and other health officials attend to them”. Specifically on the General Hospital, Patani, he said, “The Ministry of Health is not aware of the development you are talking about. I am not even sure the hospital there has a mortuary”. Told by Sunday Vanguard that there was a functional morgue in the hospital and the corpses were embalmed and kept there, he said, “Well, no official report was made to the ministry”. A source hinted our reporter, “The Patani hospital is an old structure and the way flood dealt with the hospital, the health institution is likely to cave in if any attempt is made to use it without major reconstruction. And that will mean that Patani may not have General Hospital for sometime”. The health commissioner admitted that because of the cut-off of the East-West Road by flood and submerging of the Patani hospital, the state government did not open a relief camp in Patani, but it was collaborating with RAHI in the treatment of victims, as the Ministry of Health had sent drugs to the relief camp run by the NGO. He said the government ensured that there was proper sanitation and handling of health problems at the 20 relief camps and with the measure of success achieved, he remained optimistic that there might not be an epidemic. Besides, Otumara said it was initially rowdy in the camps because of the sheer population, but the ministry had been able to combat a lot of diseases by immunizing the children and administering polio vaccination. The commissioner also said that public health educators from the Ministry of Health had been drafted to affected communities to carry out enlightenment and educate the people on the correct practices to adopt in a situation like the one at hand. “For instance, people were defecating inside the floodwater but they have stopped it following the enlightenment campaign of the ministry”, he added. “There is a standing instruction in the camps that if anybody coughs and notices blood, he should report to the health officials, but if the person opts to hide it, anybody who observed it should alert the health personnel so that they will handle it. Otumara said that all treatment carried out in the relief camps were free of charge and, since the governor, Dr. Emmanuel Uduaghan, had set up a Post-Flood Committee, he was sure government would do more and committee would recommend other ways of assisting the Internally Displaced Persons, IDPs. Delta flood: Officials Warned Diversion Of Materials Items: NATIONAL President of the Anglican Adams Preaching Society, AAPS, Evangelist Francis Usenu, has warned government officials and others entrusted with the management of relief materials donated to flood victims in Delta State against diversion of the items. Usenu, who spoke shortly after he presented food and other relief materials on behalf of the AAPS to 13 flood victims camps across the state, commended the state government for not paying deaf ears to the plight of the displaced persons. He urged the flood victims to give their lives to Christ, noting that the end time would be much more difficult than the travails they were going through as a result of the flood. He told the affected persons not to see their present predicament as the end of life. Similarly, City of Liberty International Church, Sedco, Udu Local Government Area, donated medical materials and drugs worth thousands of naira to flood victims at camp settlements in Ughelli North and South Local Government Areas of the State. Presenting the items at the medical unit of the camps, the team leader, Pastor Sunny Aruwayo said the donation was part of the church contribution towards arresting emergency situations that could arise in the camps. Meanwhile, President General of Oviri-Olomu community, Ughelli South Local Government Area, Mr Simon Ebrobota yesterday appealed to the state government to come to the aid of flood displaced victims in the community. Ebrobota, who spoke yesterday at the camp set up by the community for the displaced persons after conducting journalists round some flooded areas in the community, described the flood as highly devastating. Adewale Ayuba (Fuji King) Beaten up for Arriving at Performance Venue Late: Foremost Fuji singer, Adewale Ayuba got more than what he bargained for today when he was allegedly beaten to stupor by Mopol for attending a party a which he was billed to perform late. According to Nigeriafilms.com, reports emerging from the ancient city that the top Ibadan socialite who engaged Adewale to perform got his Mobile Police to teach him a lesson about punctuality. As the Bonsue Fuji Crooner stepped into the venue, he was apprehended by the Mopol and beaten blue black but for the guests who pleaded on his behalf, he would have been lynched. Meanwhile, it is yet to be confirmed if he eventually performed or not. Famous Nollywood Actress NGOZI NWOSU Diagnosed With HIV In India : Contrary to reports in some quarters that nollywood actress, Ngozi Nwosu is down with kidney problems, a popular entertainment magazine -E247 Entertainment reports that the actress is actually down with HIV. Findings by our team shows that the actress has become a shadow of herself while most of her fans are praying for her soonest recovery. "The story that Nollywood actress Ngozi Nwosu is critically ill is no more an issue. What is the boggling is the ailment she is suffering from. Following E24-7 magazine’s report in our story, HELP! NGOZI NWOSU IS DYING, published October1-7,2012, our office was inundated with several calls from fans, spiritualists and curious readers but recently a more shocking revelation on the true situation of the health of the once robust and beautiful actress who has over the last two months gone into recluse was disclosed. The source who pleaded anonymity and was formerly in the service of the Nigerian Medical Research Center, Yaba, Lagos as a nurse hinted she’s HIV positive. 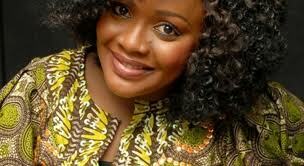 Asked why Ngozi took off and shunned medical treatment, the source said, “Ngozi is a stubborn patient. I used to advise her to stop drinking and smoking as these habits won`t speed up her healing process fast. Worst of all, she does not take her drugs righteously. When a patient with HIV refuses to take recommended retro-viral drugs the person cannot get better. That is her problem. The source also revealed that some of Ngozi`s problem to her not getting well may be psychological, “You see when a patient has a troubled love life like Ngozi things will hardly get going for her. She is not a happy woman, having no husband and child, so her thoughts will always be negative and that will cause her more bad than good. She needs to retrace her steps to finding her healing and that is if she is not already a full AIDS patient.” Currently, Ngozi has kept away from public glare while some of her friends and movie colleagues are seeking financial assistance for her treatment. There are indications she has moved to neighbouring Cotonou, Benin Republic where her former husband comes from as her aides and handlers claimed during enquiry on phone. 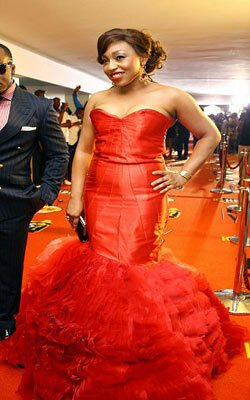 More troubling, are Ngozi`s recent pictures where she looks gaunt and pale. She has since neglected public functions and stopped appearing at movie locations. Students Kidnap Female Colleague, Assault, Kill And Bury Her In A Forest: TWO students of Federal Polytechnic, Auchi, Edo State, Henry Edewo, 21 and Emmanuel Isikhuime, have been arrested by the Police for kidnapping, molesting and murdering a female student, one Mercy Peter, 21, also a student of the institution. They were alleged to have buried their victim in a shallow grave in a forest at Ugbor village, Oredo Local Government Area of Edo State, after killing her. It was gathered that the victim, who was kidnapped on July 29, this year, was killed four days later after she was serially molested by the suspects. They were also alleged to have continued to demand for ransom from her parents after killing her. State Police Public Relations Officer, Anthony Airhuoyo, however, told newsmen that the police made a breakthrough in the case on October 17 when two of the suspects were arrested. He added that a third suspect, whose name was given as Charles, was still on the run. Airhuoyo disclosed that the suspects took the police to the spot where they buried Mercy and her corpse was exhumed. He said they were awaiting autopsy report. Meet The Brazilian Student Who Sold Her Virginity For Half A Million Pounds: A BRAZILIAN student has reportedly sold her virginity for almost half a million pounds in an online auction. P-Square Talks About The Alleged Murder Of Their Mum: It started like a dream but today, we thank God all the glory because it has become a reality. When we started, we had late Michael Jackson as our mentor. That was why in one of our songs titled, Busy Body which we released about 12 years ago, we tried to copy Michael Jackson’s dance steps. Then, our fans used to call us, Paul and Peter. He influenced our musical career. We were challenged by Michael Jackson’s huge achievements in the world of music. We said to ourselves, if Michael Jackson could do all of these, we could equally do better. So, we tried our best and by the grace of God and our fans, we have realize our dreams. The only thing we can say, is that we have been signed under Konvict. And to prove this new deal which most people are still doubting, we featured Akon in our ‘’Chop my Money” remix. You call it private and that’s why, most times we don’t like to discuss it for personal reasons. My dear, it is not easy. However, we handle everybody with love and care. One thing is to be a celebrity, and another is knowing how to handle all that comes with it. Sometimes, they will call on us just to hear our voices and to wish us well. Sometimes, we swim or play basketball with our friends. Why was J. Martins not featured in your latest album, “Invasion”? We have no problem with J Martins. He was not in the country when we released the album. You know as we are busy so also are others too. And you don’t expect them to displease themselves in order to please you. But we are in good terms. Challenges in the industry so far…. A lot of challenges, sometimes after releasing an album our marketers will want to give us condition that we go 50/50. It’s very difficult to compromise with them. Sometimes, if you enter the studio to record you song, they will compel you to do what you wouldn’t want to do. The craziest thing you have ever done! Laughs.. that was when we went for a night party some years ago. Some desperate girls were all over us and before we knew what was happening, they were kissing and romancing us openly. We had to run for our dear lives. It was when we were coming up. Some of our kinsmen walked up to us and told us that its high time we join them in the village and stop roaming about as if we are not conversant with the tradition of our people. We felt embarrassed. But unfortunately, we later adhered to their advice. How do you feel about your mum’ s death? We feel so bad to know that our mum is no more. But who are we to question the Almighty God. Traditionally, we are supposed to bury her and not the other way round. It is just that it happened so soon.. Indeed, her death was a big blow to us. It was rumored that you people knew what happened to her? Then, it is too bad to hear that people are accusing us of being responsible for our mum’s death. We are not blaming anybody. People are free to say what they want to say. We begin to wonder whether there is anything that will ever make us to go for the life of our beloved mother. Her life cannot be quantified in terms of money or fame. So, our answer to this question is that we have no hand in our mum’s death. We only blame the death that snatched her away from us if not so, people won’t be pointing accusing fingers at us. She died after a brief illness. Aside your mum’s death, there was another rumor that you guys have joined Illuminati? We are short of words. Why would anybody say such things about us? Well, the fact remains that we do not belong to any secret cult, whether Illuminati or anything you call it. We owe our achievements and everything that is happening to us to Almighty God. Please Help My Dad Having An Affair With Our House Maid: I'm a 22- yrs-old girl the only child in my family and I lost my mom two years ago in Lagos. We had a kind of young house maid when my mom was living and my mom always suspected that my dad was having an affair with her but I never came to my senses to believe her. After my mom past away,i began to notice that there really was something between my dad and this woman so I some how manage to get her out of the house. My problem is my dad still keeps on seeing her and he's wasting all his earnings on her plus getting in to debt. My dad and I have had loads of fights as a result of this. He tells me that I shouldn't inter fear with his life and that our house maid will soon be my new mother. Diamond Bank Set To Acquire European Bank: Nigeria’s Diamond Bank is in talks to buy a niche European bank to tap into direct investment and trade flows from Europe into Nigeria, its chief executive, Alex Otti said on Tuesday according. Alex Otti also told an investor conference call that the bank expects to make an 18 percent return on equity in 2012 and a pretax profit of up to 30 billion naira ($190 mln), compared with a loss of 16.26 billion naira last year. He said Diamond had received an approval in principle from Nigeria’s central bank for the acquisition and that it would not need to raise additional capital to complete the deal. “We are not looking at buying a high street bank. It’s going to be a specialized bank that will complement our services,” he said. He did not disclose the name of the bank. “We have a lot of business flows in that direction (Europe) and we use third parties to do those … we strongly believe that if we are successful it will add value to the bank,” Otti said. Otti said Diamond had raised $170 million in debt this year, and was on track to boosting its total debt issued in 2012 to $500 million, including issuing a planned debut Eurobond at the end of the year, to boost capital adequacy to 17 percent. Around $70 million of the capital already raised had come from the World Bank’s private sector arm, the International Finance Corporation, he said. The mid-tier lender last week posted a pretax profit in the first nine months of the year to 23.2 billion naira ($148 mln), pushing its shares up 20 percent in two days, compared with a 6.9 billion naira loss in the same period last year. Its share price has gained 125 percent so far this year. “We have had to move (our operating profit) target to 55-60 billion naira by year-end. We believe we should be ending the year anywhere between 25 to 30 billion naira pretax profit,” Otti said. Diamond Bank is aggressively seeking to grow its operations to be able to tap into infrastructure and consumer growth in Africa’s most populous nation. 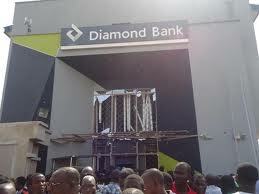 It planned to build extra 130 branches in two years time, to add to its existing 220, he said. Pope Benedict XVI To Appoint Nigerian And Five Other Non-European As Cardinals: Six non-European Roman Catholic prelates will join the Vatican’s College of Cardinals in November, Pope Benedict XVI said Wednesday, in a move which may affect the election of the future pope. At the end of the weekly general audience, Benedict said he would be appointing cardinals from the United States, Lebanon, India, Nigeria, Colombia and the Philippines in a surprise consistory, the second to be held this year. The college, the elite body that advises the pontiff and elects his successor upon his death, is currently heavily weighted in favour of Europe. The new cardinals will be the American James Michael Harvey, Lebanon’s Bechara Boutros Rahi, India’s Baselios Cleemis, Nigeria’s John Onaiyekan, Colombia’s Ruben Salazar Gomez and Filipino Luis Antonio Tagle. The announcement follows the death of several cardinals in recent months and will bring the number of those eligible to vote back up to the maximum of 120. 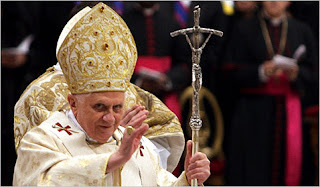 Cardinals must be young enough — under 80 — to take part in a papal election. Religious watchers had not expected there to be another consistory until next year. In February, 22 new “princes of the Church” were created amid criticism at the number of Europeans and poor representation from elsewhere. While nearly half of the world’s Catholics are in Latin America, there was only one new cardinal appointed from “the Catholic continent”. The nomination of seven Italians in Benedict’s fourth consistory also brought to 30 the elector cardinals from Italy — almost a quarter of the total, far outweighing any other country. The nominations sparked rumours of a power struggle at the heart of the Vatican, with some observers saying that Secretary of State Tarcisio Bertone was behind the promotion of Italians up the Roman Catholic Church hierarchy. Policeman Allegedly Kills Okada Rider: A commercial motorcyclist, whose name was given as Alagede, has been confirmed dead during a scuffle between police officers and motorcyclists in Alakoku, near the Lagos-Abeokuta Expressway, Lagos State, on Tuesday. While some witnesses say the deceased was shot by a police officer when he resisted arrest, others claim the motorcyclist was crushed by a vehicle as he attempted to escape police arrest. Commercial motorcyclists and security officials have been on the warpath since Monday when the state government began enforcement of its ban on motorcyclists plying 475 designated routes in the metropolis. As at Tuesday, an estimated 3000 motorcycles have been seized and impounded at the Lagos State Taskforce on Environmental and Special Offences (Enforcement Unit). Following the death of Alagede, residents of the area and other commercial motorcyclists stormed the Alakuko Police Station, threatening to burn it down. Scores of anti-riot police officers have been deployed to the scene. Efforts to contact Ngozi Braide, the Lagos police spokesperson, were unsuccessful as at the time of publishing this story as calls and text messages sent to her mobile phone went unanswered. However, the Lagos State Commissioner of Police, Umar Manko, stated that the command had no report of any shooting in the state. 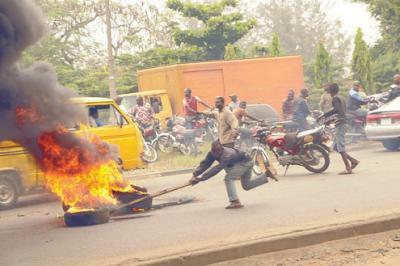 "I know that the Okada riders came out early this morning and were making burn fires but I deployed officers there to quell the protest; that is all I know," he said. "I don't have any information on the shooting of any Okada rider." #JusticeForAluu4: Finally The Faces Of The ALUU UNIPORT Student Killers Exposed: This is the exclusive photos of the suspects that beat the four innocent students to death, God help us in this country, every criminal look pitiful and innocent once they are arrested. Paw Paw AKA Osita Iheme In A Bathtub With Two Ladies: The picture just surfaced online and it is said to be from the photoshoot by South African based TV network, VUZU TV to announce Osita Iheme as her new ambassador. 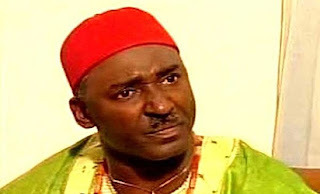 The actor popularly known as Paw Paw would be making a reported sum of N11,000,000 naira ($70,000) from the deal. Small man with big money..........You said huh. Boko Haram Received N1.5 Million From A Nigerian Senator: Remember Senator Zanna was invited by the SSS yesterday. Well another story came up; the senator had to explain to the men who interrogated him why he gave Boko Haram members N1.5M for Sallah rams. Monday night, Zanna arrived at the SSS headquarters in Abuja at about 1 pm where he was processed for interrogation. He gave further insight into his relationship with the dreaded Islamist sect and reiterated his denial that Bama was arrested in his Maiduguri home. He told his interrogators that he gave N1.5 million for Sallah rams to the sect members following their threat to attack him. He explained that when they took his aide to his house for a search, they retrieved N250, 000 and left a message with the aide for him that he should provide them N10 million or they would come for him. The senator, who was released at about 10pm, is expected to report back at the SSS headquarters by 11am Tuesday (Yesterday). The bottom line of it all is that, he SSS men during their interrogation with the Senator found out that, the Senator still communicates with his nephew, Bama the Boko Haram member, but the Senator insists it is not true. Boko Haram Is Being Sponsored By Wealthy Nigerians, HOW TRUE? This according to Mr Gbanite, who was a guest on Channels Television’s morning programme, Sunrise Daily, is not a new fact since the State Security Services have always alluded to it. The Senator, who was later identified as Ahmed Zanna, representing Borno Central Senatorial district, denied the allegation that the Boko Haram member was arrested in his house saying although the suspect is his nephew; he was not arrested in his apartment. He said the suspect was arrested in a house belonging to Mr Sheriff and that the former governor is scheming with security operatives to robe him in the saga in order to claim his seat in the senate. High-Profile Boko Haram Member Arrested In Ali Modu Sheriff’s House: Senator Ahmad Zanna, representing Borno Central, has said a Boko Haram commander, Shuaibu Bama, was arrested in the house of former governor Ali Modu Sheriff and not in his (Senator Zanna) house, contrary to the claim by the Joint Task Force, JTF. Speaking with newsmen, Sunday, Zanna said attempt by the JTF to link him with the Boko Haram commander by claiming that he was arrested in his house was a plan to frame him up. The senator told journalists in Abuja, that he believed the JTF was trying to rope him in because of his recent interview in which he called for its withdrawal from the state on account of failure to adhere to the rules of engagement. His words: “About 40 members of the JTF came to my house in four armoured vehicles on the day in question. They ransacked my house and they did not see anything incriminating. Then they brought out all the boys they met in my house who included my children, aides and neighbours. They beat them and put them under the sun and asked them if they knew Shuaibu Bama and one of them said yes. They asked the boy to lead them to where he (Bama) was and that boy took them to where Shuaibu Bama was and they arrested him. Asked if he had any relationship with the suspected Boko Haram commander and the sect, Sen. Zanna admitted that the suspect was his nephew and once lived with him but that he had to send him away from his house about a year ago, when he discovered that the man was into drugs, beat his children and threatened even himself. Meanwhile, the Director-General, D-G, of the SSS, Mr. Ekpenyong Ita, has warned politicians fanning the embers of division in the country to put a stop to their acts, as the organisation would no longer tolerate those who try to create mischief in order to unsettle the nation. He spoke at the graduation ceremony of its officials from the organisation’s training school, in Abuja, at the weekend. “Let me reiterate the point that Nigeria can never be divided by the activities of some misguided, ignorant terrorists or those unscrupulous individuals whose activities and utterances kept chiselling though unsuccessfully the very foundation of those things we hold dear, particularly the unity of this country. To this last group of people, I am saying enough is enough”, he said. He added that service would continue to be proactive in its strategy in intelligence gathering and collaboration with other security agencies in the effort to stop the activities of terrorists, in the country. Please Help Me "My Boyfriend Wants to Dump Me Because of S*x"
Please Help Me "My Boyfriend Wants to Dump Me Because of S*x": The last few weeks have been very sad for me as my relationship, one which am really proud of and happy about, is about to pack up. My last relationship ended after I caught my guy with another girl in his apartment when I visited without calling him first. I was heart broken. Now am in a relationship with this cool guy and he loves me like mad and I really love him too. The problem now is s*x. I gave my previous boyfriend whenever and wherever he wanted it but he still cheated on me so I decided to stop. I'm sending you this message because I've seen a lot of stories and I've learnt a lot from them. My lovely boyfriend is now avoiding me because I'm saying no to séx. He said he would have accepted to wait if I was a virgin but that he didn't see any reason to wait. My mind was already made up about not having séx again until the first night of my marriage. Please is there any other thing I can do to keep him? How do I know he won't hurt me once I start having séx with him? Anyone with sound advice should please help me out. Thanks. A marriage of over 10 years is currently gasping for breath – all because of one wicked star actress. She got involved with Managing Director of one of the biggest banks in the country today and after hypnotizing him with s*x and other things, the man had to send his wife and the mother of his children packing. The heartbroken woman first relocated to the United States of America. They were there for over six months before the man’s godfather, a retired top banker, wadded in, pleading with the woman to come back. Now in the country, the Godfather is using all his persuasive skills to reconcile them. Even the parish priest of Catholic Church of the Assumption, Falomo – Ikoyi, Lagos where the couple used to… worship until the actress put what God has joined asunder had to wade in at some point. But without much luck. Although the godfather has been making some progress. Alphabets P and J begin the top banker and his wife’s names. Both dark skinned and bespectacled, she is from the Middle belt while he is from the South East. The destroyer of their home, incidentally, is also dark skinned. From the East and forever seeking attention, the 19th alphabet begins her first name. 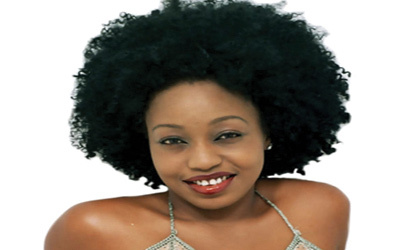 Also secretly romancing a showbiz mogul inspite of being married, this actress is gradually showing her true colour. The reason being that hitherto a lot of people thought she was a good girl. But she’s not. She has only been pretending all the while. The 21st alphabet begins the name of the bank and it has been in existence for decades, but undergone several transformations. Why Are Some People So Heartless??? Due to the rain my sister’s husband came in through a back door from the kitchen straight into the bedroom and I was completely undressed; I couldn’t even bend down to pick my clothes. We didn’t feel any guilt, just laughed about it and I prepared food. We both ate, slept together and had s*x all night with each other. The sequence continued for the three days I spent in Lagos but after the first time we agreed he shouldn't release his sperm inside me. Am now back to Enugu where I do my business, but unfortunately I am six weeks pregnant. No man friend, no boyfriend, no s*x mate…. So who will I give this pregnancy to? Ladies,Do You All Wish To Get Married To A Man Who Will Do This For You?